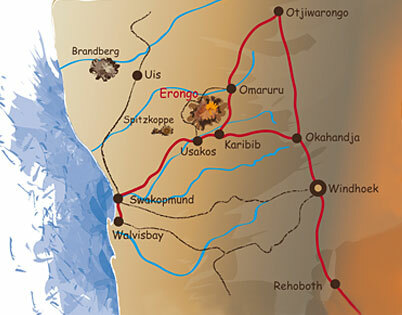 The EMRST is an initiative based on – and in thankful recognition of – the Policy of Sustainable Use of Natural Resources by the Namibian Government and the incentives created thereby to carry on nature conservation even outside of National Parks. 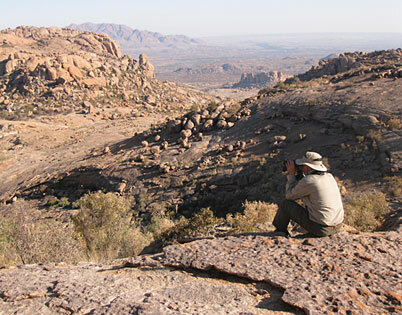 Started as a conservancy in 1998 by a few individuals carried by the belief that true nature conservation always should be subordinated to a bigger picture, that individual conservation measures should always take into account and be subordinated to ecosystems, which are bigger than individual properties, the project grew into it’s present state with constant guiding and support by members of the Namibian Ministry of Environment and Tourism. The endangered black rhinoceros, Diceros bicornis bicornis, which occurred naturally in the Erongo Mountains (the last specimens where translocated into Etosha National Park in 1974), played a major role in the considerations to form a private Nature Sanctuary in and around the Erongo Mountains in western Namibia. The Project is also based on the belief that nature conservation projects should portray natural circumstances of the area in which they are carried on. Therefor only indigenous Namibian species are protected within the project, placing special emphasis on endangered species and endemic species. 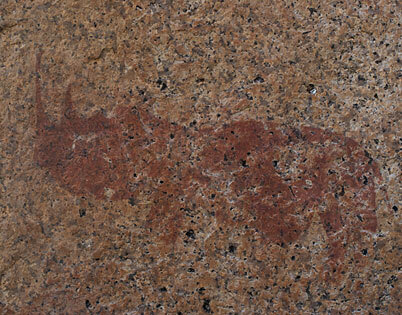 As such the black rhinoceros and the endemic black faced impala, Aeceros melampus petersii, play an important role. Starting from humble beginnings, the project now has grown into a state where a number of tourist lodges, guest and hunting farms and campsites contribute largely to job creation and attract an important number of tourists. 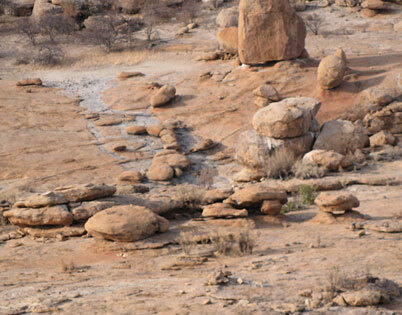 Moreover an important number of black rhinoceros and black-faced impala, as well as numerous other indigenous Namibian species, are protected. 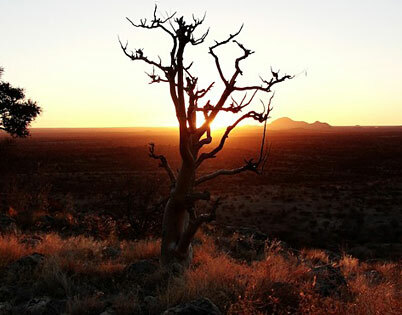 As such the EMRST can act as showcase of Namibia’s natural splendour and as successful implementation of the policy of the Sustainable Use of Natural Resources of the Namibian Government above and beyond mere individual interests. 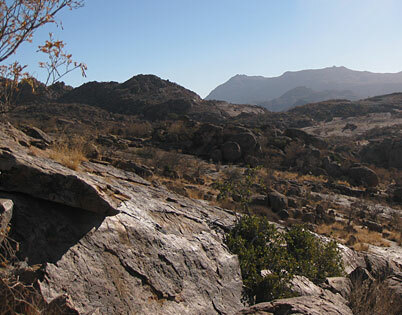 The project presently encompasses 20 member farms and 12 geographically incorporated supportive nonmember farm units within and surrounding the Erongo Mountains in western Namibia. The project encompasses an area of approx. 180 000 Ha. 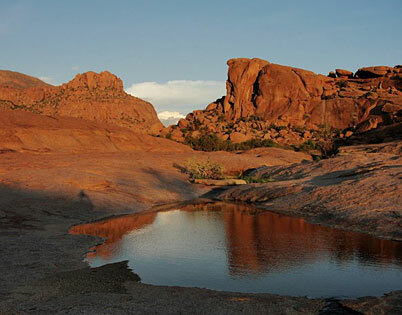 Important ecological features are the mountains itself, as well as the thornveld savannah surrounding it and two major water-courses (the Omaruru River to the north and the Khan River to the south). These features allow for a seasonal movement of wild animals within the Project. 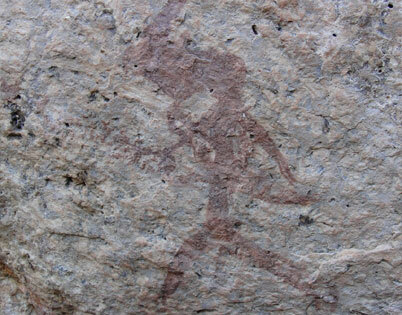 The black rhinoceros Diceros bicornis bicornis historically occurred in the Erongo Mountains, as is proven by numerous rock paintings depicting this species and numerous rhino rubbing stones throughout the area. Even in recent times black rhino still occurred in the Erongo Mountains, the last specimens where translocated to Etosha National Park by the authorities as late as 1974. This was encouragement for us to try and reintroduce this endangered species into the area and right from the start was one of our priorities. The inspection carried out by Mr Rudi Loutit from the MET, came to the conclusion that the area has the potential to become a rhino sanctuary of world importance, the carrying capacity was estimated to be at least 70 animals. This served as further encouragement for us and we eventually became a partner in the Black Rhinoceros Custodianship Programme of the MET. We are truly proud and thankful to be part of this project. Just like is the case with the black rhino, we feel an obligation to contribute to the protection of another endangered Namibian species, the endemic black-faced impala. Since the start of our project we have built up, from an initial introduction of animals a very healthy population. 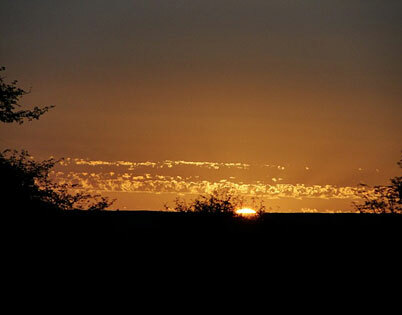 Within our area all the endemic Namibian ungulates, namely Hartmanns zebra, Damara dik dik and black faced impala occur. 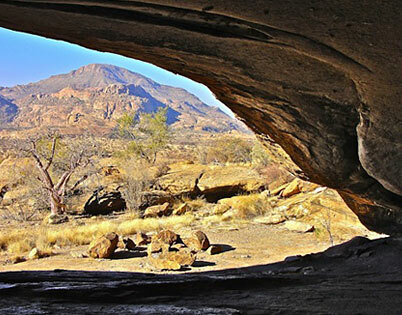 Moreover nine Namibian endemic bird species and other endemics like for example the Angolan dwarf python and the black mongoose are found and enjoy full protection. Apart from the endemic species it also has to be noted that rare and endangered species like for example brown hyenas, leopard and cheetah, as well as peregrine falcon and booted eagle in breeding populations, are present. Of course the typical Namibian game animals like kudu, gemsbok, springbok, etc. occur. We have re-introduced giraffe and eland and built up stable numbers of these species. 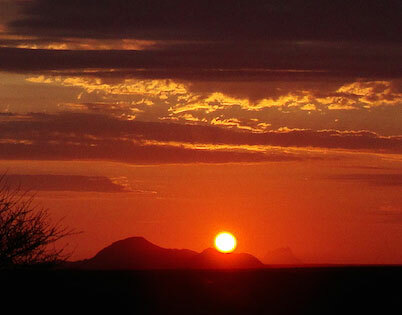 The ERONGO MOUNTAIN RHINO SANTUARY TRUST OF NAMIBIA is a Namibian Law foundation. It was established on the 3rd of July in 2006 before the Namibian notary public Friedrich Cristian Brandt, residing in Windhoek, and registered on the 22nd Of February 2007 by the master of the HIGH COURT at the Ministry of Justice in Windhoek, Namibia, under registration number T 235 / 06. 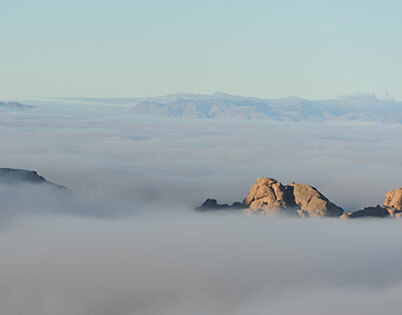 To maintain the usage by visitors for inspirational, educational, cultural and recreational purposes in a way that preserves the area in a natural state, but is subject to the rights of the owners, as listed in Appendix "A".